Disneyland Readied by "Mr. Magic"
In late June, 1955, Walt Disney gave Los Angeles Times reporter Ed Ainsworth a tour of his latest project, an amusement park called Disneyland, less than a month before it opened to the public. As workers hurried to finish the trains, boats and scenery in time for the grand opening, LA Times readers got a peak into what would become the most famous amusement park in the world. Below are some behind-the-scenes images of Walt in the unfinished Disneyland in the weeks leading up to its unveiling. 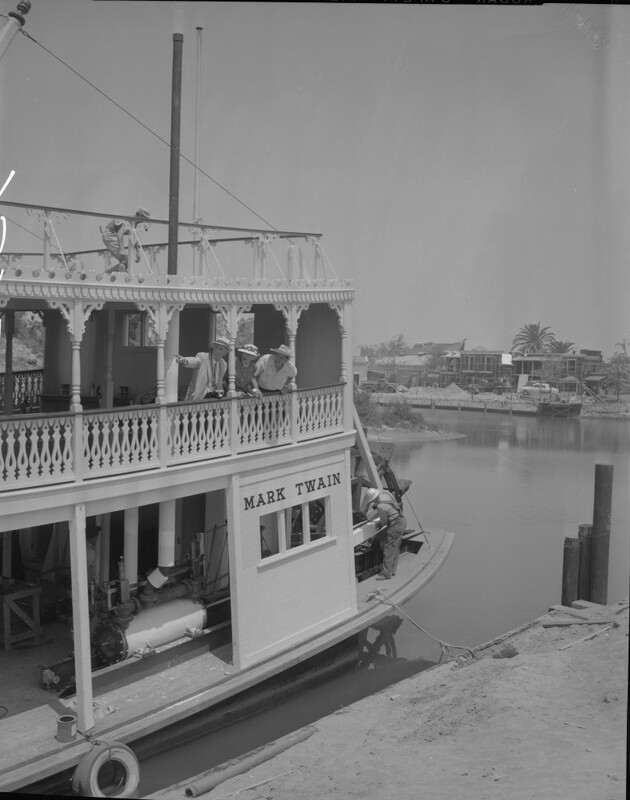 Artist Clyde Forsythe, Mrs. Forsythe and Walt Disney take a look at the workmen putting the finishing touches on the Mark Twain and the Rivers of America. Los Angeles Times Photographic Archive, Negative 93738. UCLA Library Special Collections. No horses needed for the horse-drawn trolley when Mr. Disney is around! 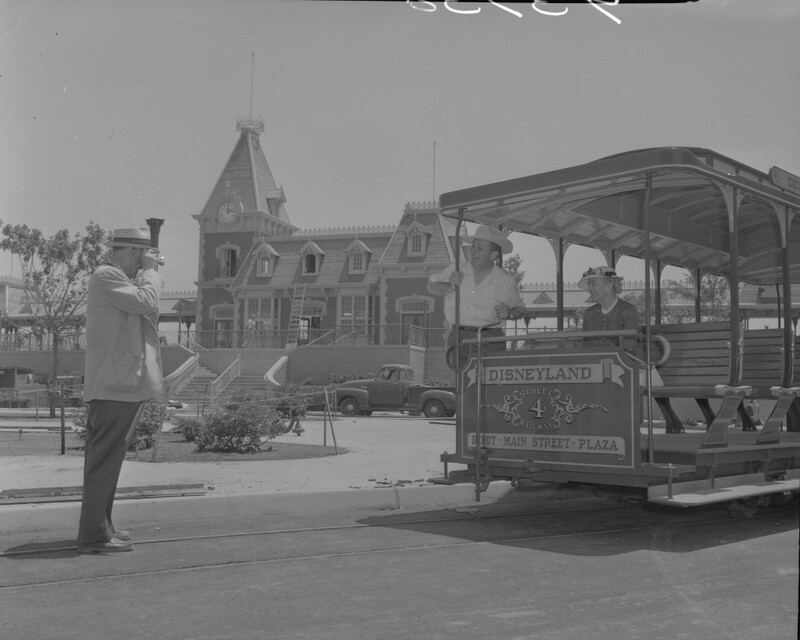 Walt gives Mrs. Forsythe the first ride past the train station by pushing the car up Main Street. Los Angeles Times Photographic Archive, Negative 93738. UCLA Library Special Collections. Walt and Clyde examine the moat and castle which provide the entrance to Fantasyland. Los Angeles Times Photographic Archive, Negative 93738. UCLA Library Special Collections. 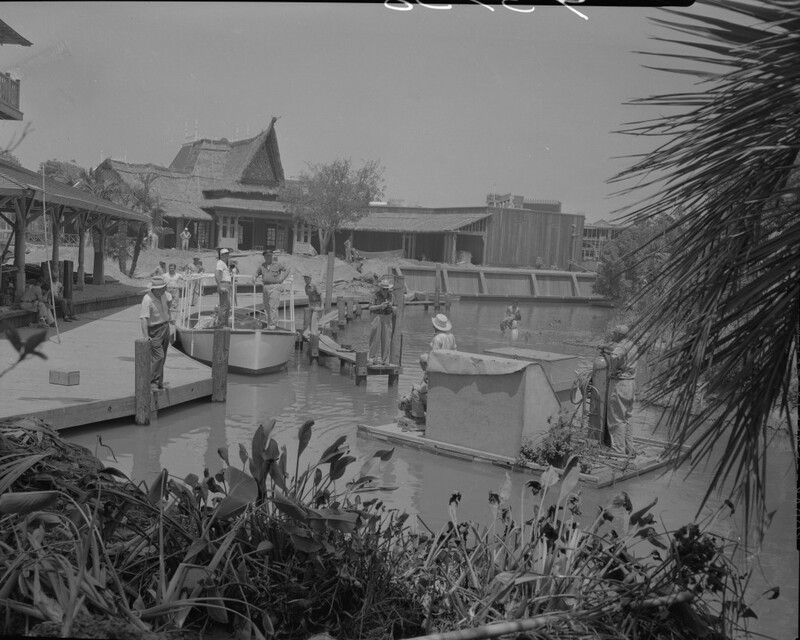 Walt (leaning against a post on the pier) hurries workers to complete Adventureland before the televised opening of the park. Los Angeles Times Photographic Archive, Negative 93738. UCLA Library Special Collections. While Disneyland has certainly expanded since its opening in 1955, many of the landmarks and attractions can still be seen on a visit to the park today. 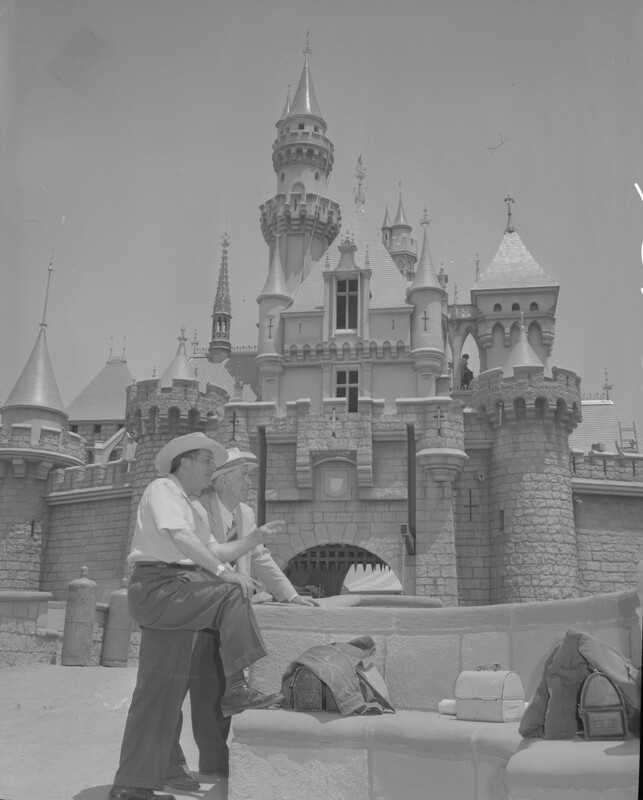 Walt's visions for not only the layout of the park, but also the feelings of magic, fantasy, adventure, and fun have persisted throughout the last 60 years, and promise to continue far into the future. Title, photographs and story of the tour from: Ainsworth, E. (1955, Jun 23). Disneyland Readied by 'Mr. Magic.' Los Angeles Times (1923-Current file). Retrieved from http://search.proquest.com/docview/166786457?accountid=14512.